Taro, a passive, divorced man who lives in a Tokyo apartment building, becomes acquainted with Nishi, a young woman in the same building who is fascinated by a house in their neighborhood. This sky-blue house, larger than most and with a private garden, has been documented in an obscure book of photography titled Spring Garden. The ethereal photos of the house and its former celebrity inhabitants preoccupy Nishi and, soon, Taro. The house symbolizes a past when urban living was not as isolated and traditional values were carefully cultivated. Shibasaki's characters stay at arm's length from each other, and their transactional relationships mean they never connect on more than a surface level. Translated from the Japanese, every word matters in this unflinching and quietly powerful award-wining novella. Divorced and cut off from his family, Taro lives alone in one of the few occupied apartments in his block, a block that is to be torn down as soon as the remaining tenants leave. Since the death of his father, Taro keeps to himself, but is soon drawn into an unusual relationship with the woman upstairs, Nishi, as she passes on the strange tale of the sky-blue house next door. First discovered by Nishi in the little-known photo-book 'Spring Garden', the sky-blue house soon becomes a focus for both Nishi and Taro: of what is lost, of what has been destroyed, and of what hope may yet lie in the future for both of them, if only they can seize it. 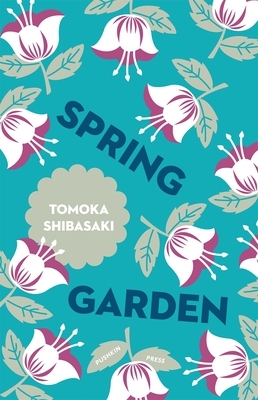 Tomoka Shibasaki was born in 1973 in Osaka and began writing fiction while still in high school. After graduating from university, she took an office job but continued writing, and was shortlisted for the Bungei Prize in 1998. Her first book, A Day on the Planet, was turned into a hit movie, and Spring Garden won the prestigious Akutagawa Prize in 2014. Dive into one of our favorite bestselling audiobooks and listen anytime, anywhere. We have partnered with Libro.fm to bring you the best digital audiobooks for adults and children alike. You’ll find bestsellers and great books hand picked by the river's end bookstore and other independent bookstores. You can easily listen on any device (phone, tablet, PC) as all our books are DRM-free.